Camelot Theatre turns its spotlight on American singer, actress and television personality Dinah Shore for the first of its musical vignettes of 2011. "Shore was a huge success as a recording artist in the '40s, '50s and '60s," says the show's director, Charles Cherry. "In the '40s, she was the most popular star on radio, records and jukeboxes, right up there with Bing Crosby." Camelot's "Spotlight on Dinah Shore" stars Renée Hewitt as the late vocalist whose smooth voice made hits out of dozens of standards written by Harold Arlen, Hoagie Carmichael, Johnny Mercer and others. "Renée's voice stacks up very well against Shore's," says Cherry. "She is recreating Dinah by singing the same arrangements with the same phrasing." 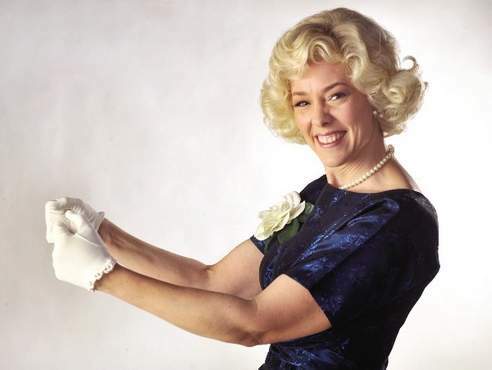 Hewitt's stage performances include many shows in the '90s with American Music Theatre of San Jose — her hometown — and in '98, she appeared as Germaine in San Jose Stage Company's production of Steve Martin's "Picasso at the Lapin Agile." Now based in Medford, Hewitt is a voice instructor at Camelot Conservatory, and she teaches private voice lessons. Camelot's show features 24 songs that Shore made popular, such as "Blues in the Night," "Skylark" and others. "The significant thing about Shore's singing was that you always felt as though she was singing just to you," says Cherry. "It was like there was no one else in the room. Her voice had a clear, ringing register that was warm and intimate." 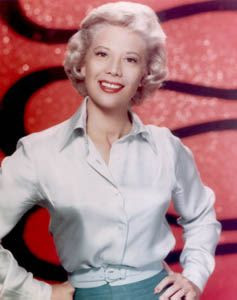 After making many television appearances, Shore got her own show, "The Dinah Shore Show," on NBC from 1951 to '57. Then she hosted "The Dinah Shore Chevy Show" until 1963. The sponsor's theme song, "See the U.S.A. in Your Chevrolet," became a signature piece for Shore. "She really pioneered the musical variety show," says Cherry. "Rather than having acts perform independently on the show, Shore and her guests sang together and talked. It was like you were in her living room with a bunch of friends." Shore disappeared from television during the late '60s to raise her children, then returned in the '70s with the talk show "Dinah's Place," a program that gave "Merv Griffin," "Mike Douglas" and "Phil Donahue" stiff competition. Shore continued to work on NBC, CBS and then the Nashville Network until she was 76. Some highlights of Camelot's musical spotlight will include Shore's novelty songs, such as "Shoo Fly Pie and Apple Pan Dowdy" with music by Guy Wood and lyrics by Sammy Gallop, "Doin' What Comes Natur'lly," an Irving Berlin song from "Annie Get Your Gun," and "Buttons and Bows," a song by Jay Livingston and Ray Evans from the 1951 Bob Hope film titled "Paleface." "They're comical, sweet and fun," says Cherry. "There's also lots of ballads and love songs, such as 'I Walk Alone,' by Jule Styne and Sammy Cahn, a World War II ballad that was her biggest-selling hit." Hewitt will be accompanied by keyboard player Kathy Campbell, bassist Dave Miller, trumpeter Freddie Morgan, guitarist Bil Leonhart and drummer Steve Sutfin. John Stadelman will provide narrative. "It's going to make for some great nights of music," says Cherry. "People love the spotlights at Camelot. They always sell out. This year we'll do Dinah, Nat King Cole, Barbra Streisand and blues divas of the '20s and '30s with Gayle Wilson." Cherry has worked with Actors Theatre, Ashland New Plays Festival and Ashland Community Theatre.